If you are planning to head down to Kuala Lumpur to usher in the New Year and catch the breathtaking fireworks with your friends, here are a few hot spots in town that you can check out, or perhaps call in and make a reservation now. You know how busy it can be when it comes to New year's eve parties.. 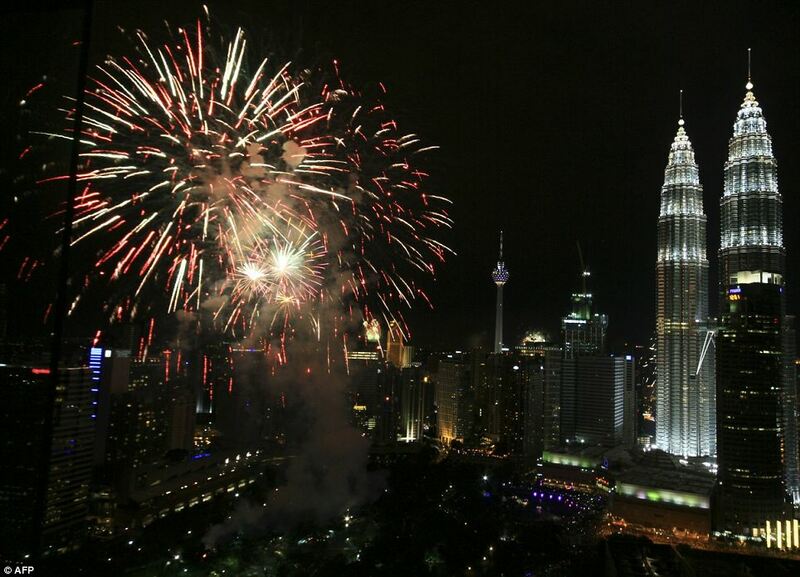 The annual New Year's Eve Fireworks display, launched from the foot of KLCC park, and is visible from most part of KL. So the KLCC park is exactly right in the middle of where the New Year's Eve festivities and where the fireworks are. The park promises nothing but an incredible evening of celebrations. And plus it's totally free ! All you need is just to be there early to skip the traffic and of course to get a good spot for the fireworks viewing. 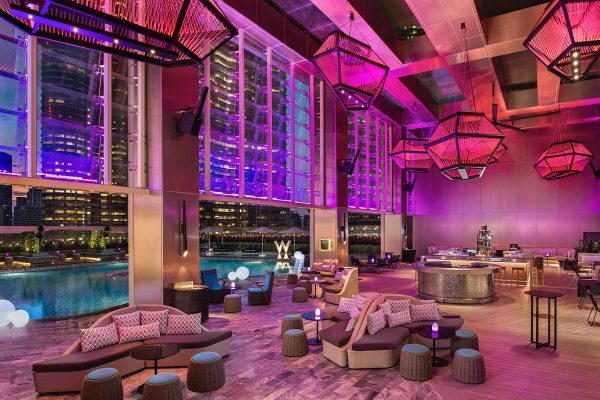 The new W Hotel KL is just 100 meters away from KLCC, aka where the festivities are. You can skip the massive crowd at KLCC park and walk across to WET Deck in W Hotel, where you can have a bird's eye view of the main event with music and DJ's performing throughout the evening. WET Deck is definitely the ultimate place to celebrate if you don't mind splashing the cash on the drinks and food. Also you'll be part of W Hotel history as it will be their very first New Year's Eve party. For more info check out their site here. If WET Deck is fully booked ? Then you can opt for Vertigo Bar at Banyan Tree Hotel KL, which is also nearby to KLCC. They offer a birds eye view of the festivities from their stylish bar on Level 59. 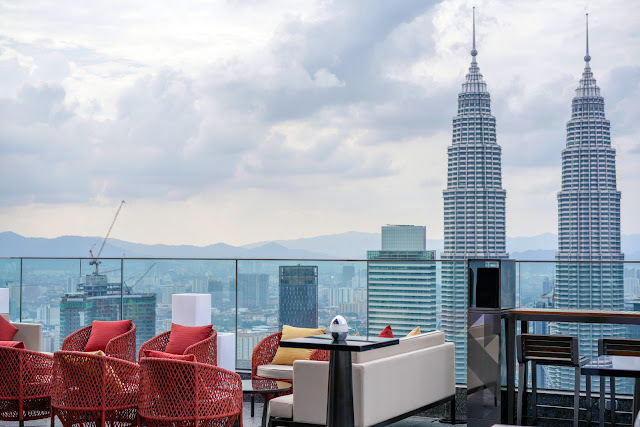 You and friends can now relax on bar seating while enjoying the stunning views of Kuala Lumpur with all the KLCC fireworks on display from above. Mixologists are on hand to create personalized drinks, while South East Asian inspired tapas and music helps create an unforgettable countdown to the New Year ! For more info check out their site here. Located in front of the iconic State Secretariat building is KL best known landmark, the Merdeka Square. 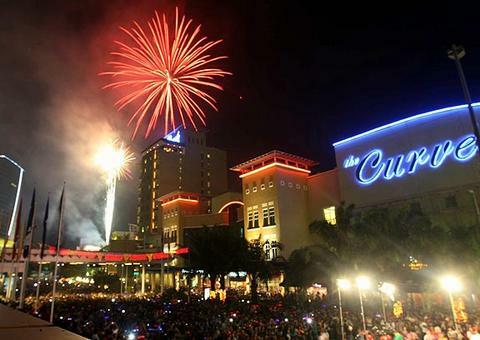 Every year, the venue hosts an annual concert with with music, performances and as the clock strikes midnight, you'll get a spectacular fireworks display from the heart of the action. The concert will usually continues until 1am as the live band plays on. The site has been closed for the last 4 years but this year things might just be different with the new government and all. 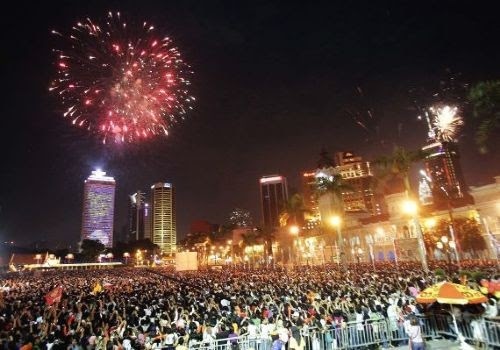 Avoid the massive crowds in central KL and secure yourself a great spot in Desa Park City to watch their very own fireworks set off at midnight this New Year's Eve. You'll have an option to dine at one of the restaurants there or simply just chill out at the park to enjoy the fireworks and celebrate the beginning of a brand new year. If you're looking to see in the New Year in with a splash of fun, The Street at Curve parties are renowned for being an exclusive spot to celebrate. There are numbers of bars, restaurants and cafes along the street with flea markets, live music performing throughout the evening. Plus you get to walk around the mall and do some last minute shopping. It's certainly the ultimate way to celebrate if you prefer a cozy yet fun location.